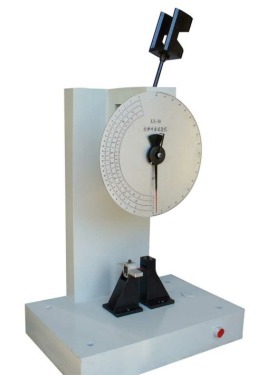 Precision testing instruments have been widely used since long ago and are necessary equipment for testing products. Precision testing equipment is closely related to our daily lives, and many people do not understand this well. Below, the author enumerates two simple examples, such as smart touch screen mobile phones now being sought after by young people. The detection of mobile phone glass cannot be separated from the use of secondary element image measuring instruments. Mobile phone glass thickness measurement, flatness detection, ink thickness measurement, etc., these need to use a secondary element imager. There is also our private car. The detection of the car body and the measurement of each part is one of the applications of the coordinate measuring machine. Each part of the car passed the test of the CMM only, so that the car can serve us normally. service. At present, such secondary imager and coordinate measuring machine are highly integrated through software technology, machine vision technology, and electronic technology to form a comprehensive set of inspection equipment that has been widely used in industrial inspections in various industries. It can simultaneously measure a variety of Parameters such as size, appearance, electrical properties, etc. This kind of testing equipment is usually a non-standard testing equipment, and it needs to be oriented and researched according to the industry characteristics or the special needs of the customer's detection. Therefore, it is also a precision testing equipment that truly meets the needs of customers. This high-end inspection equipment combines international high-end precision inspection components to intelligently measure and record data. Accurate screening of superior and inferior products not only saves labor costs, but also allows the company's production lines to be upgraded and create more profits. However, people in the industry believe that the status quo of China's sophisticated detection technologies and instruments is still not ideal, mainly because such R&D companies are scarce resources in the country. As a national high-tech enterprise and the winner of the Innovation Fund of the Ministry of Science and Technology, Beijing Leadong Instrument Technology Co., Ltd. is a leading supplier of precision testing equipment in China, and proposes "custom testing" for the entire Chinese manufacturing industry. Congbang has accumulated a great deal of technical experience in the area of â€‹â€‹automated detection and precision detection and has developed a large number of sophisticated inspection instruments. The detection categories include size, appearance, mechanics, electrical, temperature, sealing, acoustic vibration and so on. Based on the R&D concept of technological innovation and demand-driven innovation, Leadon Instruments advocates tailor-made testing solutions based on the differences in the customer's production lines and provides a complete solution from consulting services to R&D services to help customers complete the investigation from requirements to product delivery. A set of "turnkey" projects, rigorous and pragmatic solution to the problem of batch testing of manufacturing lines, pointing out the direction of production testing for the entire manufacturing industry. Congbo Equipment fully utilizes the core functions of secondary element imaging instrument and coordinate measuring machine, and applies the most advanced laser technology, virtual instrument technology, visual technology, electronic technology, etc., and customizes and develops sophisticated testing equipment for production lines of related products. The technological content of these custom testing equipments is very high, and its appearance has made a very tedious and complicated work that has become reliable and efficient. With the development trend of China's industrial automation and industrial upgrading, targeted detection and development of precision testing instruments will have a large market space in the field of industrial inspection. At the same time, China must become an industrial power, but also must pay attention to research and development and innovation.